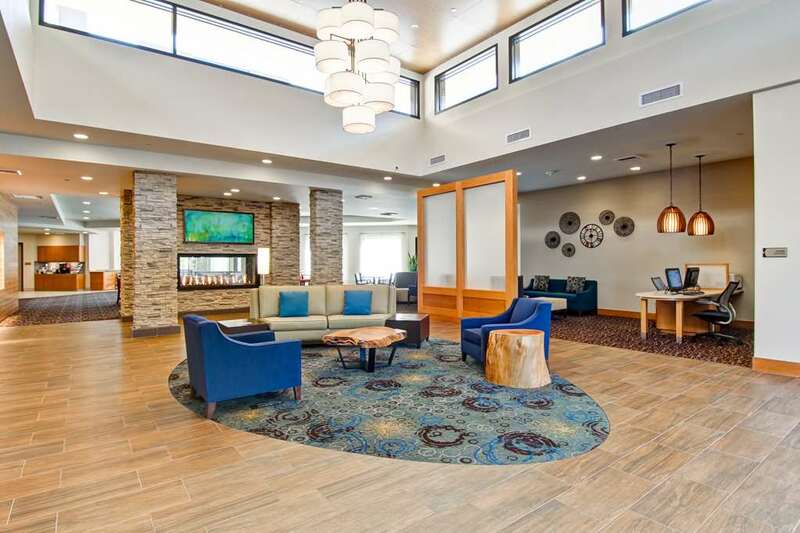 Our welcoming Homewood Suites by Hilton Seattle-Issaquah hotel is convenient to Fortune 500 businesses attractions and many outdoor activities. Take the kids for a day at Cougar Mountain Zoo to learn about wildlife and conservation. Village Theatre offers many exciting shows and productions. Try your luck at the tables at Snoqualmie Casino. If you like to get out in nature this is an ideal spot. Take a boat out and do some waterskiing on Lake Sammamish. or visit one of Washington*s most popular attractions Snoqualmie Falls. Settle into an inviting studio one-bedroom or two-bedroom suite and feel at home with separate living and sleeping areas a fully equipped kitchen comfortable bed complimentary internet access and a sofa bed. Join us each morning for an included hot full breakfast. After a busy day unwind with our complimentary evening social* Monday through Thursday. Stock up on snacks beverages frozen treats chilled meals and travel essentials at the 24-hour Suite Shop. The outdoor patio provides a place to prepare your dinner on the barbeque grills or simply sit in front of the fire pit and relax. Refresh in the heated indoor swimming pool or maintain your exercise routine in the fitness center. Print boarding passes and check emails in the business center. Host an event for up to 50 people in our 740 sq. ft. meeting space. *Subject to state and local laws. Must be of legal drinking age.